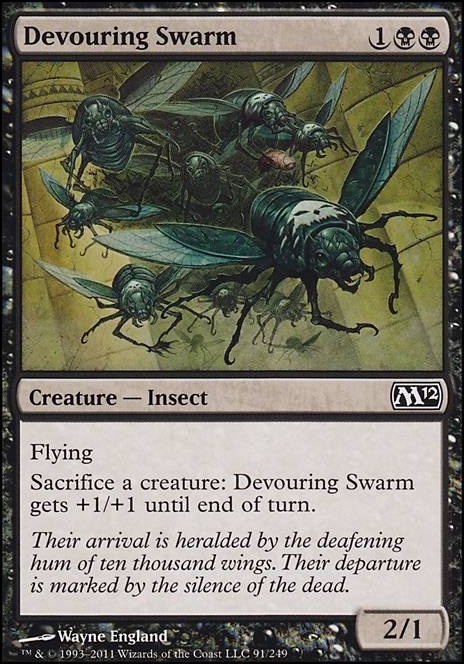 Flying Sacrifice a creature: Devouring Swarm gets +1/+1 until end of turn. 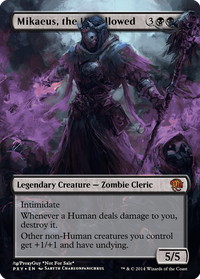 Dango on Teysa Karlov "The Godmother"
Right off the bat I can say that Devouring Swarm and Flesh-Eater Imp are not the greatest sac outlets. 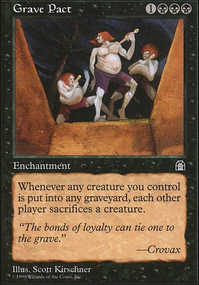 Consider something like Carrion Feeder for a similar interaction but for less mana to get online early. Even Attrition seems fine in here. I would say that everything looks playable though. However, do you mind sharing your target budget range for the build and perhaps highlighting some key interactions and win conditions before I make any further suggestions? I'm not all too familiar with the new Teysa and everything she interacts with yet, although I can see the interaction with Requiem Angel and Divine Visitation in addition to a sac outlet and a Blood Artist on the field. I feel like you might be able to slot in some Nim Deathmantle combos in here as well. An Ashnod's Altar , Deathmantle, and any creature that produces two or more tokens on death (any creature that normally produces one will produce two with Teysa on the field too) can go infinite. This might be janky, but I feel like you have several ways to assemble that combo. Just a thought. The best possible combo card with Teysa is Darkest Hour , which allows you to infinitely sac/create spirit tokens with any other creature(s) in play with a sac outlet. 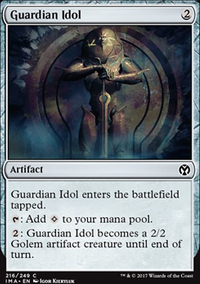 With Phyrexian Altar or Ashnod's Altar you can then create infinite mana, with Zulaport Cutthroat or Blood Artist you can infinitely drain your opponents, with Viscera Seer you can scry your entire deck and with Altar of Dementia you can infinitely mill your opponents. Even if you're not looking for true infinite combos, you can sac to a creature like Devouring Swarm and swing with an infinitely large flying creature to one-shot a player. Hopefully some of these suggestions are helpful - happy brewing. theLeyzin on Meren Tribal Insects! One more thing, what about Devouring Swarm instead of Bloodthrone Vampire, because of the flying? 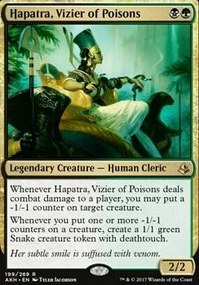 I am trying to build a competitive Prossh deck and stay on a budget . Obviously I need to buy Food Chain, but what to do with the 99? I wanted to do a lot of extra combats and abuse cards like Frontline Devastator and Devouring Swarm. 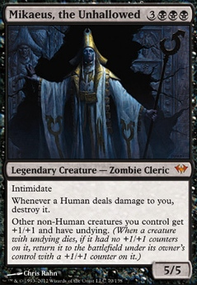 Some nice ways to tutor are:Dimir Machinations and Shred Memory. They get you all the combo pieces. You may ask: "And what shall I cut? "Every Planeswalker, they do nothing for you in this deck. Every damn card that costs 5 mana or more (Only Exceptions are Pentavus and Triskelion) . 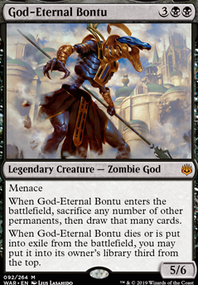 (Yes, you can also cut Sidisi, Undead Vizier, if you have enough tutors). And everything, that doesn't combo with Mikaeus in a way that doesn't kill all your opponents immediately. Your goal is to win the game as soon as Mikaeus hits the battlefield. Most of the time the disruption can't do anything, because you can combo off in response to that. And to make it as fast as possible, add all mana artifacts known to mankind to your deck. Thran Dynamo, Jet Medallion and so on, and so on. You don't need any removal or any Temporal Extortion or Imp's Mischief and stuff like that. Aim for a turn 4 kill and cut everything that doesn't support your idea. There will be no threats on turn 4 or five that need you to have any special removal. If you want, I can post a link to my Mikaeus deck. I don't like to do advertisement for my decks, so I do it, if you want to see my idea of a perfect deck.